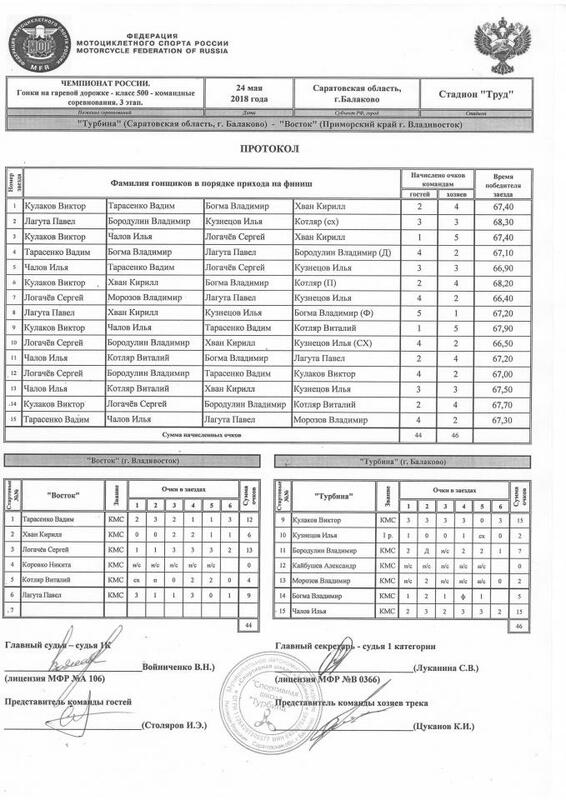 Eisspeedway Journal: OFFICIAL RESULTS - 2018 Speedway Russian Team championship TURBINA (Balakovo) — VOSTOK (Vladivostok). 24.05, Balakovo. OFFICIAL RESULTS - 2018 Speedway Russian Team championship TURBINA (Balakovo) — VOSTOK (Vladivostok). 24.05, Balakovo.